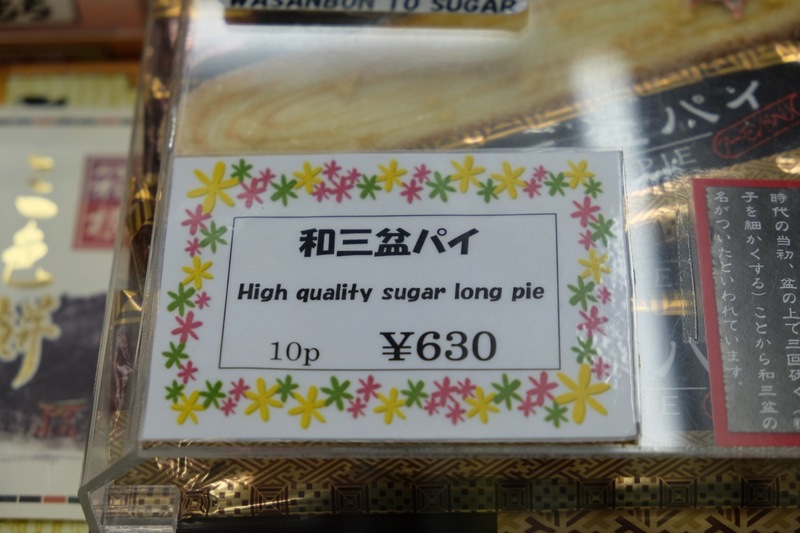 Japan has really awesome sites to visit, great food and the people are extremely friendly and helpful. 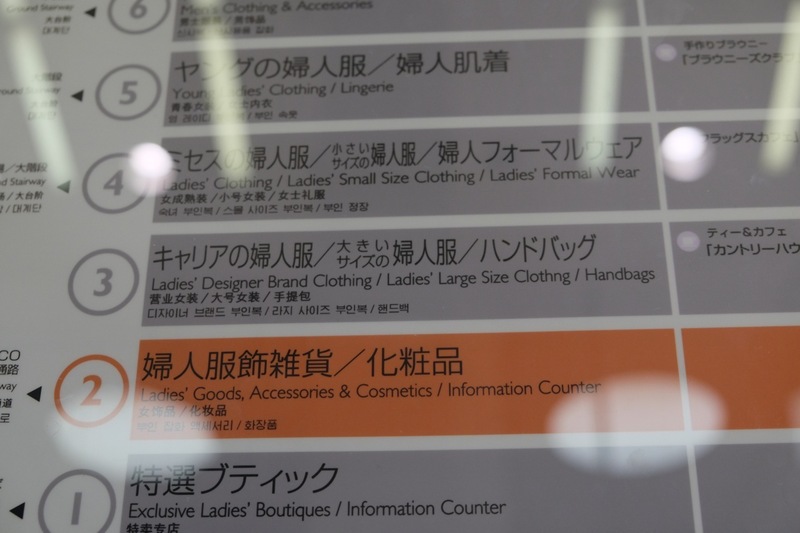 In the spirit of keeping tourists even more entertained, Japanese signs introduce subtle ‘easter eggs’ into their English translations. Here are some I found mildly amusing. 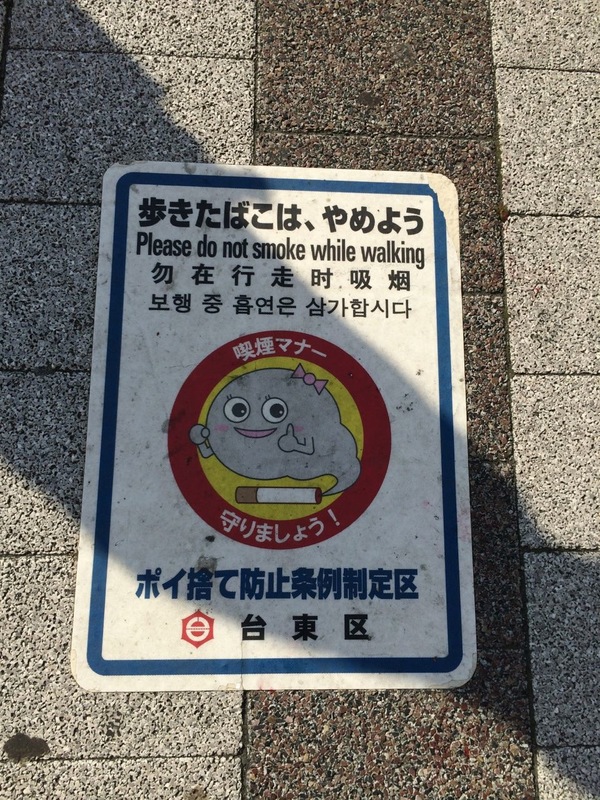 We’ll start with this very friendly ash cloud on a sign stuck to the floor right before a pedestrian crossing. Almost makes you wanna smoke to get your cutie genie cloud out of your bottle/cigarette. 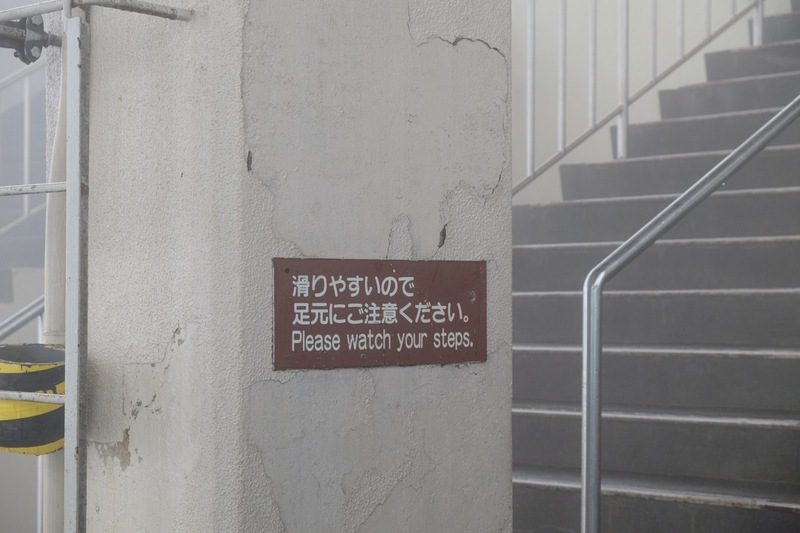 This should probably also be enforced at local theater’s. 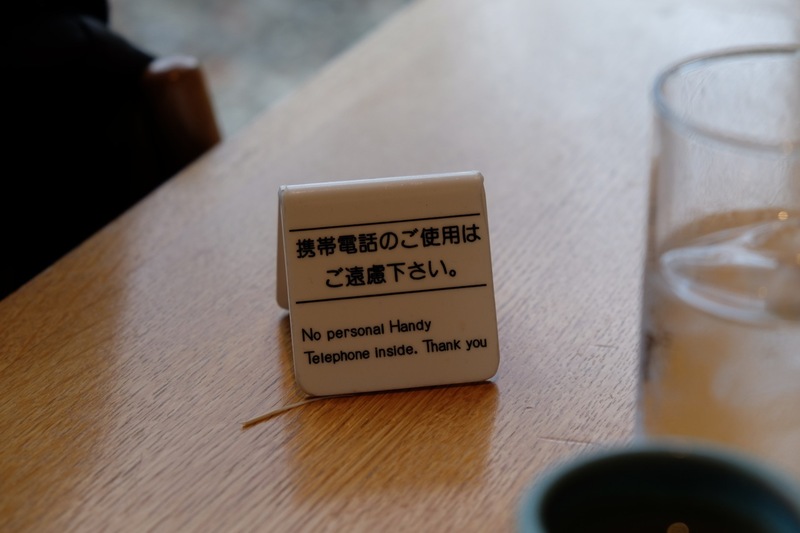 I was also informed that “handy phone” is how germans refer to cell phones – funny the Japanese would go to a German to translate into English. This one is also commonly known as “palmier” but I like it they are descriptive of their pastries. 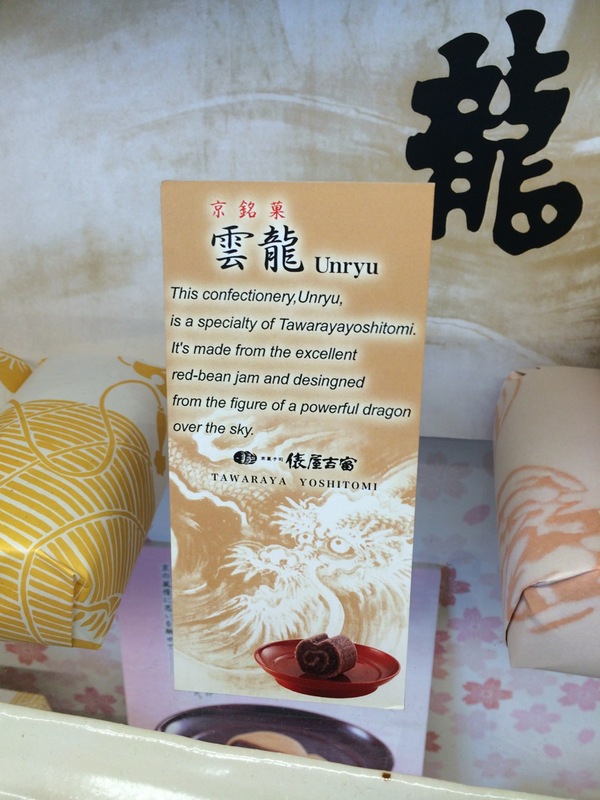 Unfortunately often the show cased pastries have nothing to do with what’s inside the box. 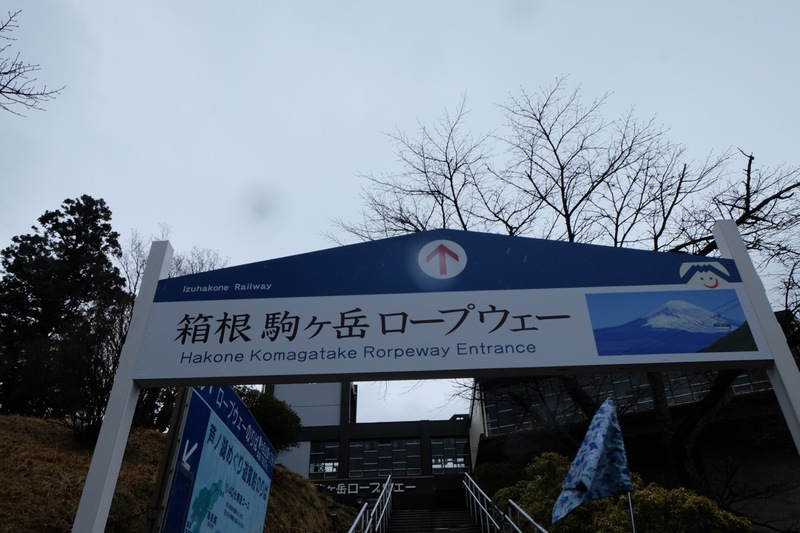 Were it not for the foggy cloudy weather and a gorgeous view of Mount Fuji would present itself at the top of this cable car – I mean ‘rorpeway’. 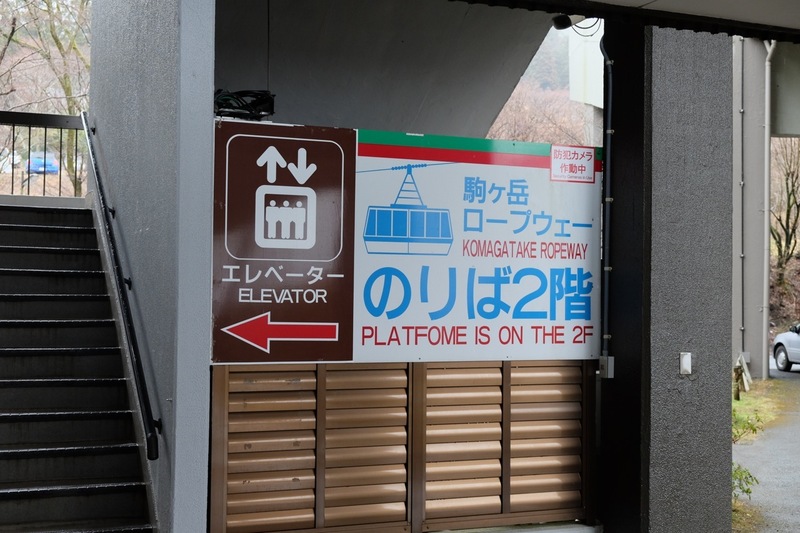 Now that we are clear that we are taking the ‘rorpeway’ service we should get ready to head to the ‘platfome’. 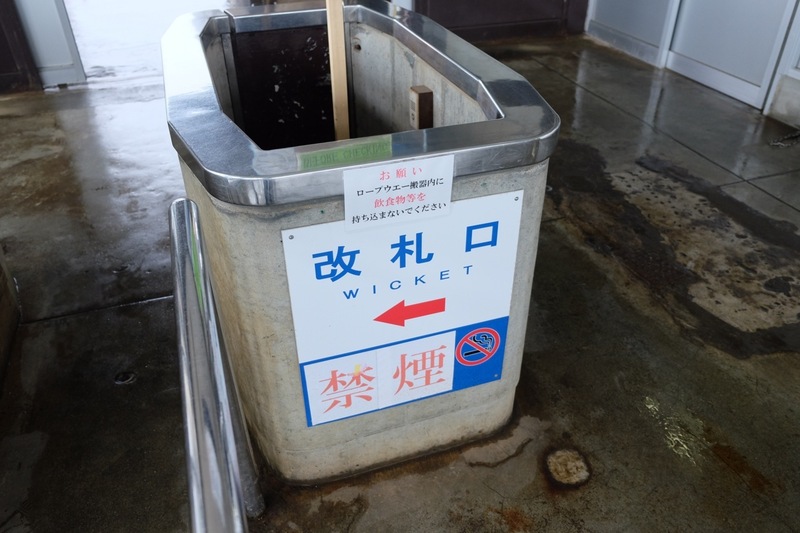 And now that we are done with our tour and the weather was so miserable that Mount Fuji was nowhere to be seen we shall go back down the ‘rorpeway’ onto our favorite ‘platfome’ and it’s promised to be ‘wicket’. That or we are soon to attend a cricket match. And just as we exit, Sherlock Holmes gives us a heads up by telling us to “watch our steps” – any wrong move and we are back in jail. 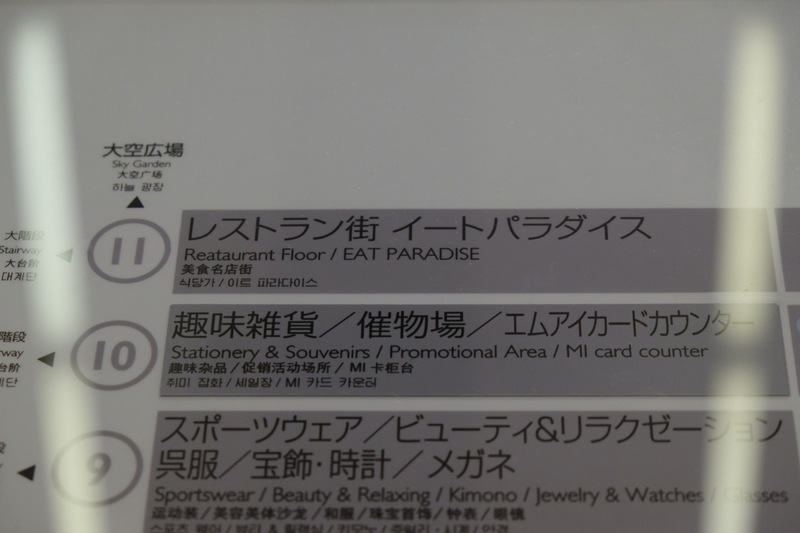 So here I am right after hotel checkout. 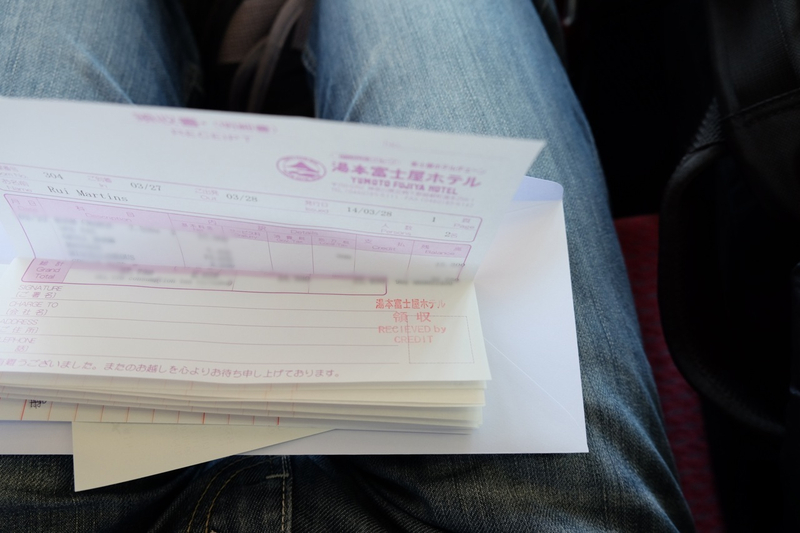 The hotel employee kindly asked me to confirm all the expenses at the hotel and once I acknowledged and paid it he professionally stamped the receipt as ‘Recieved by credit’ – a whole new level having hotel stamps with typos! One can never lower his guard. 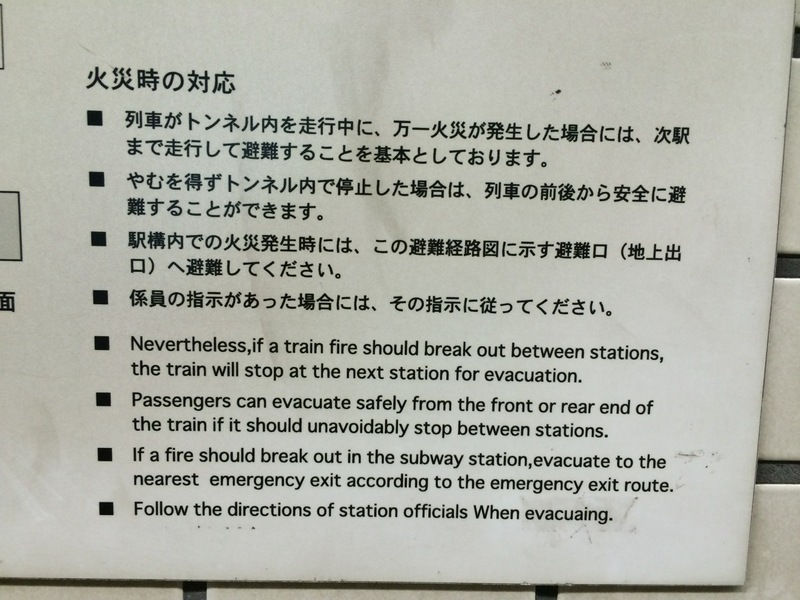 So the Bullet Train – Shinkansen seemed to have a rather complete and long manual on how to deal with emergencies… and they almost made it through – the final word let them down from perfection. 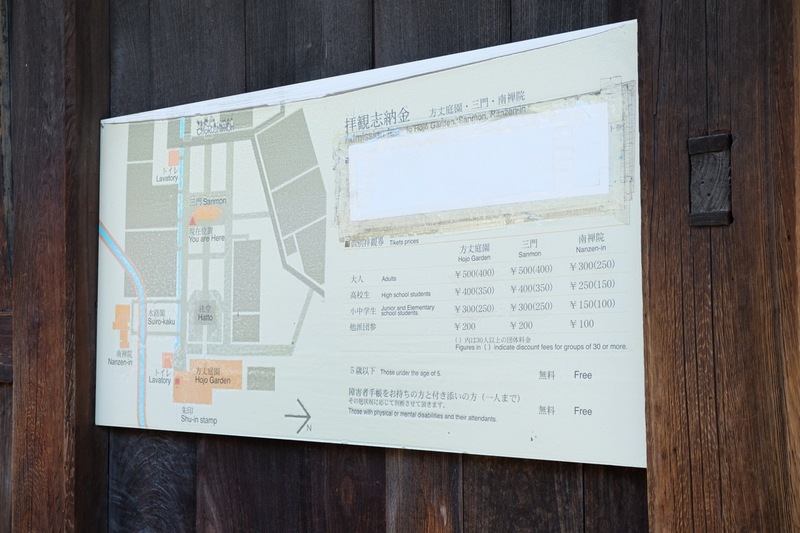 At a temple in Kyoto, I was already well aware of the challenges that the word ‘ticket’ presents so it came as no surprise to me the following ‘tiket’ price sign nailed to one of the temples walls. 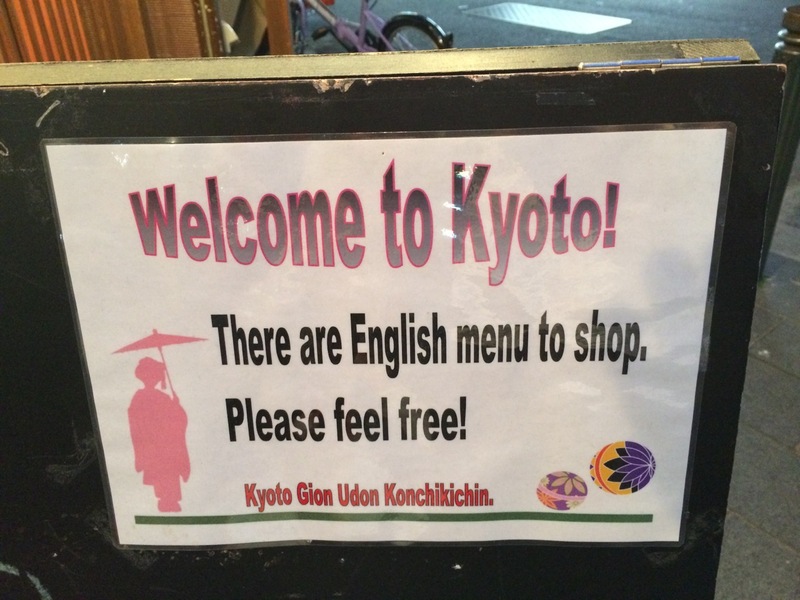 And free I indeed felt. 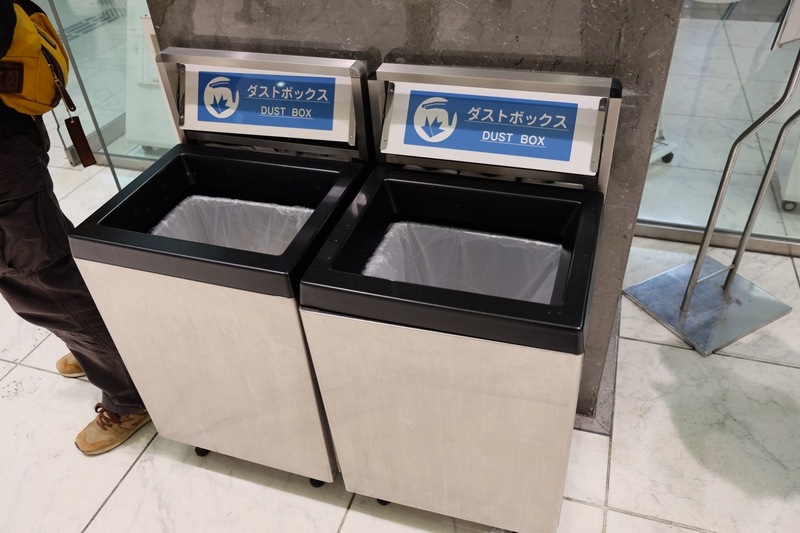 Finally, I had to dispose my coke bottle somewhere and what better place to do so than the dust boxes at the entrance of the mall. It must be a cultural thing but I often visit the mall without a hoover or a broom so I used these boxes to what was most convenient at the time.